Over the past two decades, Dr. Nazeem Muhajarine has established an exemplary record of research, teaching and mentorship, and service. Working with citizens, policy makers and like-minded researchers, he tirelessly leads innovative projects that have profound impacts on a range of stakeholders. His motto, ‘Think Globally, Act Locally,’ guides his research and has led him to focus, largely, on projects that locally address widespread social issues – such as how income-based social inequality can affect health. Dr. Muhajarine’s projects—such as examining how childrens’ social constructs affect them in early life, or identifying major risks during the prenatal period—often bring together a diverse range of academics and off-campus partners to tackle complex, longitudinal studies on socially-pressing issues. Involving decision-makers early and often is a central tenet of his research process and, in doing so, he ensures his research is beneficial to and addresses questions posed by all affected parties. In total, Dr. Muhajarine has been involved – often as the Principal Investigator – on more than 80 grants and contracts throughout his career. His research programs have attracted millions of dollars from a wide range of funding agencies, including CIHR, SHRF, Grand Challenges Canada, SSHRC, Heart and Stroke, IDRC, and DFATD. These studies have resulted in a prolific and diverse body of publications. He has published more than 170 papers in refereed journals, penned 13 peer-reviewed books and chapters in books and has written more than 70 technical reports for a wide range of agencies. For example, Dr. Muhajarine took a major role nationally in his work for the Canadian Index of Wellbeing (CIW), which offers an alternate measure to GDP. He sat on the CIW’s research advisory board for many years, and co-authored the Healthy Populations report (2010) that was released as part of the Index of Wellbeing’s inaugural report. He now serves as a research associate to the CIW project. Dr Muhajarine is also a highly regarded academic leader. At the U of S, he served for two terms as the department head of community health and epidemiology, and was asked to lead the School of Public Health during a transition. Early in his career, he was also instrumental in establishing two highly-successful research units of national significance—the Saskatchewan Population Health and Evaluation Research Unit and the Community-University Institute for Social Research. Currently, he is leading a 38-member Saskatchewan Strategy for Patient-Oriented Research (SPOR) Network in Primary and Integrated Health Care Innovations. In the global health arena, he is leading a U of S mission to continue Canada’s work in Mozambique, focusing on reducing maternal mortality and improving infant health using gender and sexual rights perspectives. He is an exemplary mentor, having supervised 5 post-doctoral fellows, 16 Ph.D. students, 36 Masters students, and 4 undergraduate summer students. He also has sat on the committees of more than 30 others. 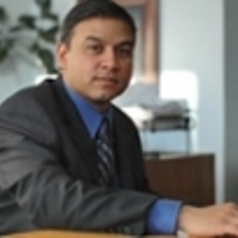 He is the recipient of multiple awards, including U of Massachusetts’ 2014 Alumni Award for Significant Contributions to his field, the Saskatchewan Health Research Foundation’s Achievement Award (2009) and the Canadian Institutes of Health Research’s (CIHR) Knowledge Translation Award (2006).